Over 50 people enjoyed a presentation by Merle Frommelt Saturday evening, June 6, 2009, at Wyalusing State Park. The evening, although cool and breezy, was enjoyed by the adults and children in attendance. Merle, a past Prairie du Chien educator, is an interpretive ranger at Effigy Mounds State Park. Merle and his wife brought artifacts that were used to illustrate how prehistoric people of the area hunted, lived, and made it through life during prehistoric times. The artifacts were used to illustrate techniques of hunting, gardening, harvesting crops and everyday living needs. Merle showed a reproduction of an atalatal, a device created to accelerate the throwing of a spear. The atalatul enabled prehistoric people to throw a spear over 300 yards, with accuracy. He explained how archaeological findings in Effigy Mounds National Park were used to study the culture of the mound builders. He went on to tell how the 're-internment' of artifacts was done by the Native Americans of today. A round-trip guided canoe 'hike' through the back waters of the Mississippi River will be held on Saturday, June 20 at Wyalusing State Park. The 'hike', lead by recently retired Wyalusing State Park Ranger, Bruce Klang, lasting about an hour, will be a leisurely paddle through the backwaters to Woodyard Slough. The slough was used to store logs and firewood used by steamboats of the past. The canoeists will have to be on the alert for bird and animal sightings along the way. We ather permitting, the hike will start at 9:00 A.M. from the boat landing. The hikers can bring their own canoes or rent a canoe from the concession stand in the park. Life Jackets should be worn on the trip. Experience won't be necessary. A brief lesson on canoe paddling will be provided before the 'hike'. Ever wanted to try fishing but didn't know where to start? Angling is one of those things which can be simple or complex. Bruce Klang, a recently retired Wyalusing State Park Ranger, is offering this free fishing seminar on Saturday, June 20, 1:00 P.M. - 3:00 P.M. Anglers will meet at the Fishing Pier, next to the boat landing. After the basics, there will be time to try one's luck from the fishing pier. If you have a pole, bring it along and we will go over how to rig and use it. If not, there will be some equipment available for you to practice with. Bring dad fishing, or just watch, at Wyalusing State Park. 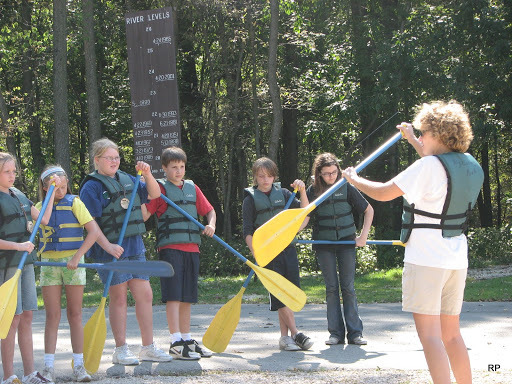 If you are 16 or older you will need a current Wisconsin or Iowa fishing license to fish. Vehicle Park admission sticker is needed. Friends of Wisconsin State Parks invites all interested individuals to submit their favorite State Park,Forest, or Trail photos to our second annual photography competition. Winners will be featured in the 2010 Friends of Wisconsin State Parks calendar, released in December, 2009. The more competitive entries will pertain to a season and the 12 winners will be invited to the FWSP Annual Awards Banquet on Friday, October 23, 2009. The deadline for all submissions is Friday, September 18, 2009. For more details about how to submit your photos and other information, click here.